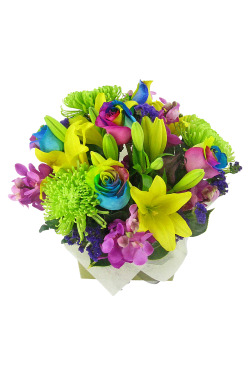 Add Carnival Of Colour to your order? 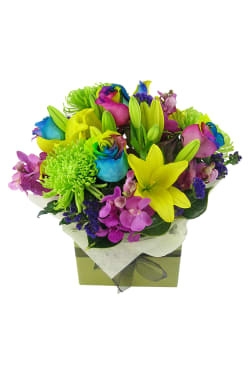 Anything but ordinary, our Carnival of Colour boxed arrangement explodes with the happiest of hues borrowed straight from a rainbow! We've curated and combined the most beautiful disbuds, roses, lilies, orchids and statice into a gift that'll really wow on that extra-special occasion. Have used you several times and am impressed every time. Silvia loves the flower arrangements. 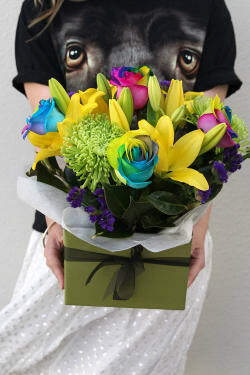 Very easy to use & work with website & photo I received from my sister who I sent flowers to were exactly like photo on website, they looked beautiful & I was told they were. 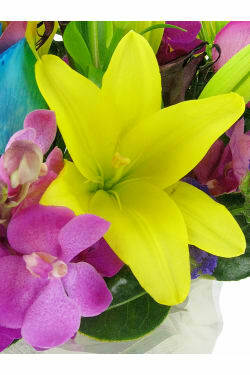 Thanking-you for the beautiful arrangement & prompt delivery. My mum (and the nurses) adored your rainbow roses! !